In July this year I had the privilege of participating in a group exhibition with artist-run initiative Watch This Space in Alice Springs. 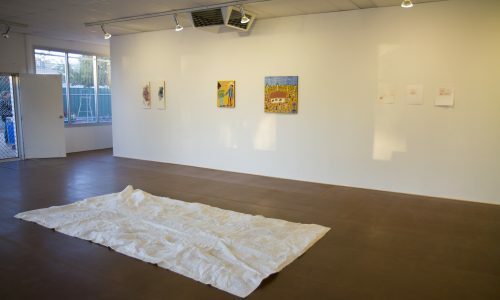 The exhibition was curated by artist and Gallery Coordinator Zoya Godoroja-Prieckaerts, who invited a group of female artists from across Australia to respond to the word ‘Belly’. 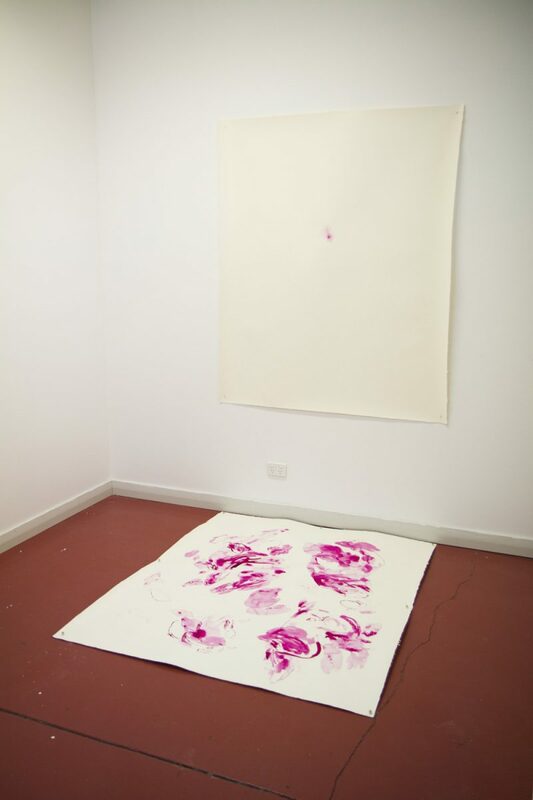 The resulting works were diverse and reflected the wide variety of contemporary art being made in the Northern Territory and across Australia. The exhibition coincided with Watch This Space moving to new premises. I arrived in Alice Springs a few days before the opening to an incredible hub of activity. Walls were still going up, signs were being painted and artists were setting up their studios. It became clear that the process of moving this organisation was very much a community effort. The work was not only being carried out by the studio artists and gallery volunteers. There was also help from builders, removalists and other local service providers who pulled everything together to make the move happen. 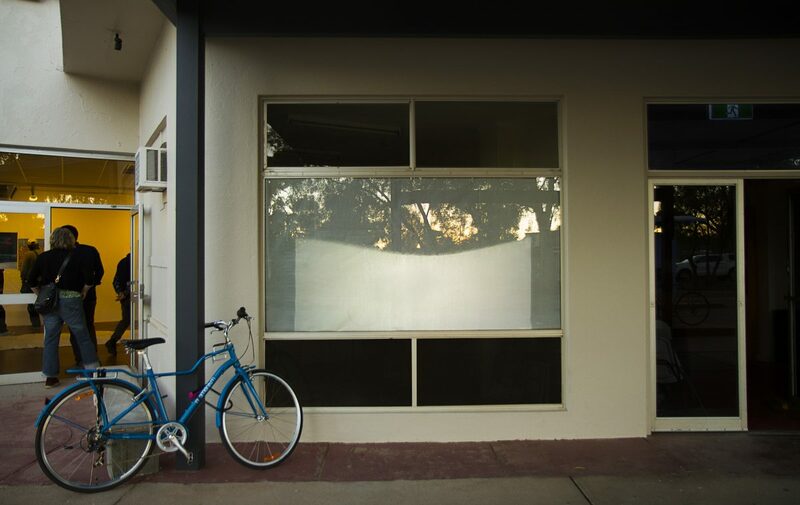 By the end of this day and night action a former petrol station had miraculously been transformed into a light filled and versatile gallery space. I felt immediately that Watch This Space carried substantial support from the community in Alice Springs, which was reinforced at the opening. Flocks of people turned up to see the show and there was a buzzing energy about the potential of the new space as people listened to the speeches by the outdoor fires and watched live performances by some of the artists. Seeing this level of participation and engagement reinforced the importance of the artist-run initiative as a collaborative, community driven space. 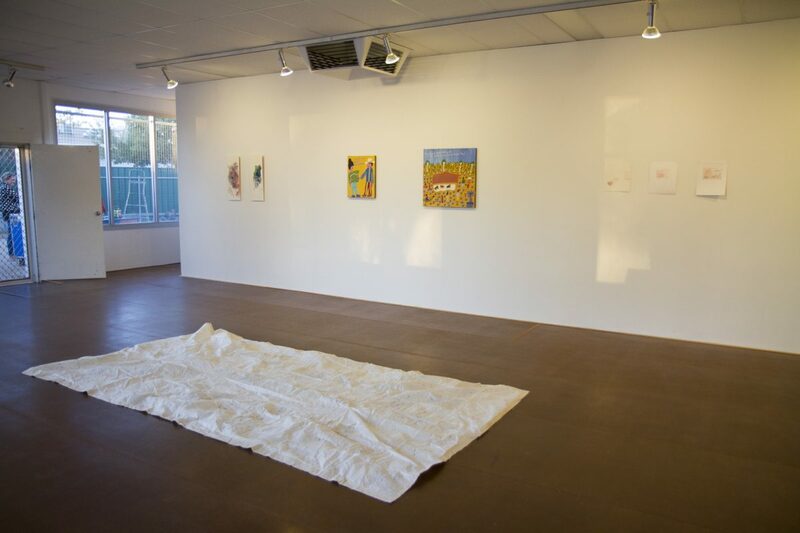 On my final day in Alice Springs, Watch This Space hosted a group artist talk. We discussed how we had approached creating new work for a theme. For me, the process was very fluid and I interpreted the concept of the belly as a stimulus for ideas rather than a limitation. The curator, Zoya, encouraged us to consider the entire Watch This Space complex for potential install sites and think beyond the normal gallery walls. 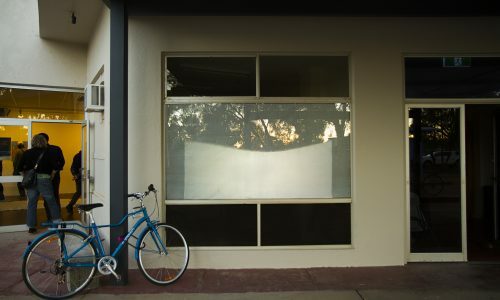 This encouraged me to push the limits of my photographic practice and create a video work which was projected in the windows of one of the artist studios. Zoya had some of her own works in the exhibition and she spoke fervently about how they had developed after conversations with the participating artists and how this dialogue helped to clarify her own ideas. I had a similar experience through this discussion and I left the artist talk understanding my own intentions with more clarity. On reflection, two key things stood out about my experience with Watch This Space. First, the potential to create and strengthen community around the arts and second, the collaboration, discussion and connections that are forged with other artists.